Before moving into academia, John spent 24 years in the international capital markets, first in Toronto, then briefly New York before moving to London in 1991. He covered central banks and institutional investors throughout EMEA in the areas of treasury, interest rate and credit risk products. In the later years, and since joining academia, he has developed applied research and analysis related to investment management and fundamental analysis for both equity and debt securities. At UBS in the 1980s, he played an important role in developing the EuroCanadian bond market. 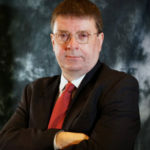 He then spent twelve years as Professor managing MSc Investment Management programmes, first in the UK and later China. He developed and ran the first ever Financial Lab at a university in China. He has since returned to the market in China to help grow public securities markets here. Taha worked as an entrepreneur for 4 years where he built three brands and launched 50+ IOS applications with over 100,000 customers. During his post-graduate studies, he participated in the CFA Institute Investment Research Challenge in Shanghai, China. 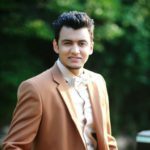 He chose Equity Valuation as a topic for his Master's thesis where he conducted an in-depth Economic, Industry, Company and Financial Analysis along with valuation of common stock of a group of three firms in Basic Material industry. He concluded the report with Buy/Sell/Hold recommendation for each of these firms’ common stock. Taha is a holder of multiple, merit scholarships throughout his academic career, from High School to the CFA program. 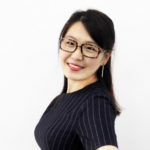 Since returning from studies to China in spring of 2014, Jina has been continually working in the field of ecommerce and its applications to the financial, entertainment and automotive industries. She is fluent in Mandarin, English and French and has held many responsibilities dealing with international companies and executives operating in China. She is currently completing further studies to reach advanced professional translator qualifications in English and French and is an important relationship manager between foreign clients and the Chinese administrative authorities. She also has experience in execution of stock trades (A stocks and HK stocks) plus supporting equity research. 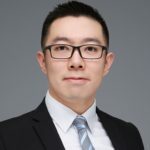 Benny has worked in the financial markets of China with an emphasis on fixed income, currency and asset-liability management and was most recently Vice President of the fixed income department of a medium-sized, Shanghai fund management company. He has also been active on the commercial side of the securities business managing client development strategies, marketing programmes and roadshows and developing and delivering financial markets training programmes for small and medium-sized banks and other financial institutions. Benny is fluent in Mandarin, English and Japanese. 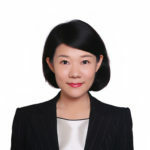 Since returning from studies to China in 2013, Yan has worked in the National Association of Financial Market Institutional Investors (NAFMII) in China, responsible for developing and delivering a number of executive training topics including “Overview of China’s Bond Market”, “Financial Market Ethics”, “Financial Risk Management” and “Financial Reporting and Valuation Modelling”. In January of 2017, she then transferred to the China Association for Financial Inclusion (CAFI) that was set-up to advise the government with its national policy objectives with respect to financial inclusion. She will support SEIML on a part-time basis while continuing on with her other activities. Yan has completed levels I and II of the CFA program. A proven CEO / senior executive within the Global Financial Services sector with substantial, successful, international experience in the Global Financial Market with both Financial Institutions, Markets Operators and Authorities. 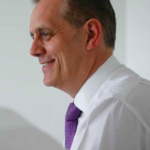 A strong, results driven, growth, customer and outcome focussed business builder who has successfully led and transformed businesses through targeted acquisitions, integration, restructuring, turnarounds, exits and high growth through creating high performance teams, often with complex stakeholder management issues.